Canberra, the capital of Australia, is fast becoming a city renowned for its culture and cool. While many assume that either Sydney or Melbourne is the capital of Australia, the seat of government can, in fact, be found in Canberra in the Australian Capital Territory (ACT), a three-hour drive from Sydney (keep going and you’ll eventually hit Melbourne) or a quick 55-minute flight. 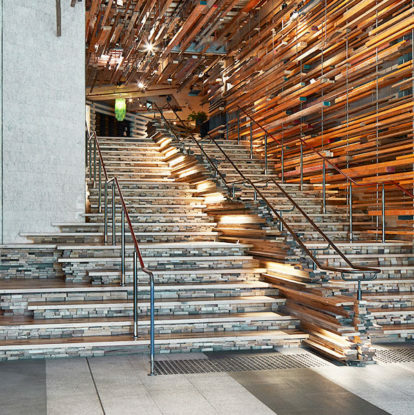 A planned city of stunning civic buildings, plentiful parklands and the giant man-made Lake Burley Griffin at its heart, Canberra is finding a cool new edge, with buzzing neighborhoods, micro-brewers and hip hotels proliferating; it was even named on Lonely Planet’s list of the 10 best cities in the world in 2018. The annual Truffle Festival runs from June to August, while The Truffle Farm provides the ultimate food experience: hunting for truffles before enjoying a six-course degustation lunch of truffle-enhanced dishes. And don’t miss The Poachers Pantry, a vineyard, cellar door and restaurant. No one does quirky like QT, and its Canberra digs are no exception, with bold decor and a buzzing lobby bar. Hotel Realm is all sleek and modern, with restaurants shared with Burbury Hotel and Little National Hotel. Ovolo Nishi is part of the architectural Nishi Building in the cool New Acton entertainment district, offering up stylish accommodation and food. Jackson Pollock’s Blue Poles is on display at the National Gallery of Australia. First, stop at the National Gallery of Australia, home to the country’s most significant art pieces, from Sidney Nolan’s Ned Kelly series, commemorating one of Australia’s most famous ‘bushrangers’ (the Australian version of Jesse James) to Jackson Pollock’s Blue Poles, acquired in 1973 for a world record price. Head on over to the National Library of Australia’s Treasures Gallery, which houses Captain James Cook’s (Australia’s version of Columbus) journal, and take in the National Portrait Gallery, filled with stunning portraiture of some of Australia’s most celebrated individuals, from former prime ministers to royalty to Indigenous leaders to pop culture icons. Floriade, Australia’s largest celebration of spring held annually in September and October, sees Canberra and its Commonwealth Park transformed into a vibrant, bright collage of blooms, presented in big floral displays. Make a trip to Canberra from September to October to see Floriade in full bloom. On the edge of the city, the National Arboretum is a vast expanse planted with over 48,000 significant trees from across Australia and around the world; the children’s Pod Playground of giant acorn cubby houses with slides and rope ladders is worth the trip alone. Jamala Wildlife Lodge, gives guests the chance to sleep in luxury right next to the zoo enclosures of a roster of fascinating creatures, from tigers to sun bears, or alternatively in giraffe-height tree houses.